Stunning live edge Black Acacia coffee table custom made by Derek at D Porter Design and sealed with Arm-R-Seal to show off the natural beauty of the wood! 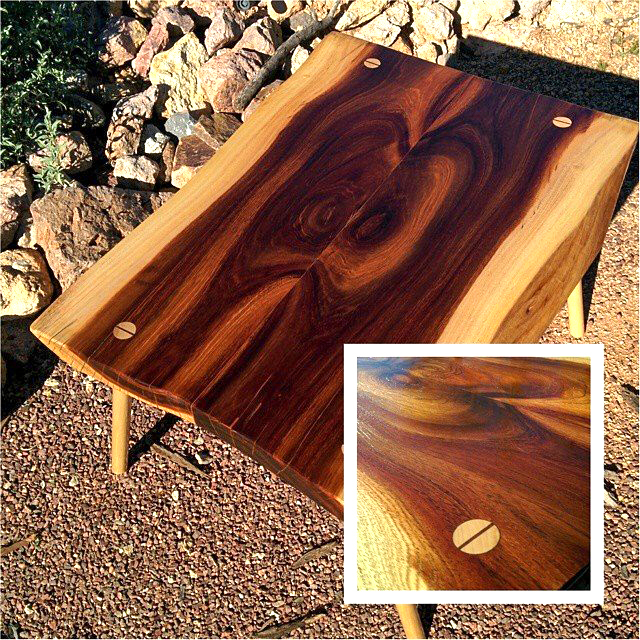 Derek says, "Finished the black acacia coffee table and had to get it out in the sun for some beauty shots. I'm loving the contrast and how much the colors change depending on the viewing angle."